Sebastian Rudy's arrival at Schalke from Bayern Munich means the Gelsenkirchen club have a wealth of options to boss central midfield. The summer departures of Leon Goretzka and Max Meyer would be crippling to most clubs, but Schalke moved smartly in the transfer window and now look even better stocked than they were when they finished runners-up in 2017/18. bundesliga.com runs the rule over the men who will be Domenico Tedesco's generals in the centre of the pitch this season. "We're getting a very intelligent and technically gifted player who has already proven himself at international level," said Tedesco when his club wrapped up the signing of Rudy from Bayern this summer. "We're sure his quality and experience will benefit our young squad and that he'll be able to hit the ground running." And the Schalke boss isn't the only one to recognise he has a rare talent. Pal Dardai showed his appreciation in a different way: his decision to use Ondrej Duda to manmark Rudy was key to Hertha Berlin winning at the Veltins Arena on Matchday 2, neutering the new Schalke man's ability to dictate a game from in front of the back four. Not that he's been able to show that class much in the last 12 months. "Rudy's on a train to nowhere," sang Supertramp in their eponymous hit, which could have been penned for the 2017 FIFA Confederations Cup winner's frustrating year at Bayern that saw him make just 16 Bundesliga starts. He looks to be back on track now, though, and despite having taken the number 13 shirt in Gelsenkirchen, his move to the Royal Blues should be anything but unlucky. His top-level experience will be vital when Schalke return to the UEFA Champions League for the first time in four years, notably in helping his younger teammates through the occasion just as much as the 90 minutes on the pitch. "I'm not one of those players who, if we sign someone [in my position], I'm like, 'Damn it,'" McKennie told bundesliga.com recently. "Of course, as a player, you're like, 'Things are going to get interesting,' but I'm always a player that's an honest guy. I'm true to what I do. If he comes and he trains better than me and he plays on the weekend – there's no way I'm going to be like, 'Well, why's he playing?'" That sort of attitude might have been useful for the USA international had he not already established himself as Tedesco's number six of choice. 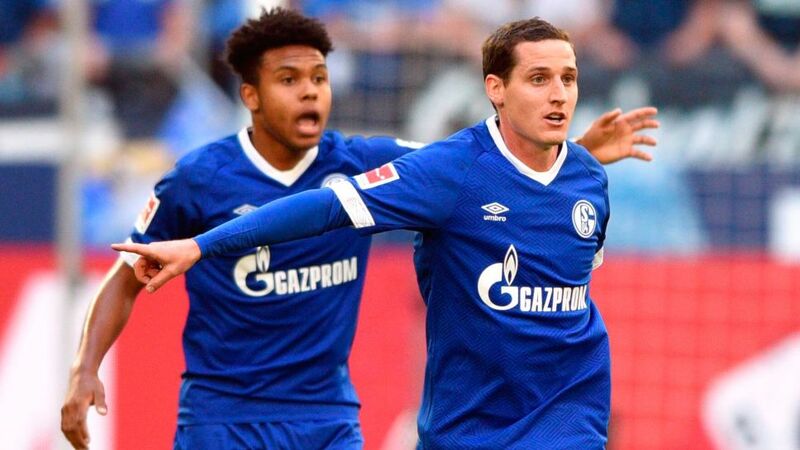 As versatile as Rudy but instinctively more defensive, McKennie's industry has not only made him a firm favourite with his boss, but also the Schalke fans, who see their own passion mirrored in the Texas-born youngster's work ethic. Still, at 20, there is room for improvement, and McKennie is more than happy to pick the brains of his teammates to try and keep hold of the first-team place they will be seeking to take from him. "Rudy's a player with so much experience. I'm still going to try and learn from him. I'm not just going to turn him down just because we play the same position," McKennie said. "Same with Leon Goretzka, Max Meyer, and Nabil [Bentaleb] last year. They all helped me as a young player coming into the group, gave me advice." "At the start, it wasn't an easy situation for me to stay on the bench and not be in the matchday squad, but afterwards, it made me stronger," said the Algeria international, in and quite often out of the side last season. Disgruntled, the former Tottenham Hotspur midfielder had made his dismay known, but admits now he has "learned from my errors", and has found Tedesco responding positively to his refreshing change in attitude. Schalke fans have not had the chance to see their new Spanish midfielder in action yet, but the former Real Madrid man is no stranger to the Bundesliga. The new arrival from Mainz was — before Rudy's switch — Schalke's most significant summer investment. There is good reason the Gelsenkirchen club were willing to gamble so heavily on the Germany U21 midfielder's future. The Schalke fans that caught the 3-3 pre-season draw with Southampton will have an idea why as Serdar's spectacular long-range effort capped an excellent display as he slotted seamlessly into the midfield alongside Mascarell. "It worked very well. Not only with him, but also already in training with other number sixes," he explained. He has already shown that in featuring in the opening two games of the season, though with nearly half-a-century of Bundesliga appearances already under his belt with Mainz, it has surprised no-one at Schalke that he has hit the ground running. "Suat is a young, very ambitious player with a lot of potential," explained sporting director Christian Heidel after the talent he had first nurtured at Mainz had signed a four-year contract. "With us, he'll get the time necessary to develop into a very good Bundesliga player."